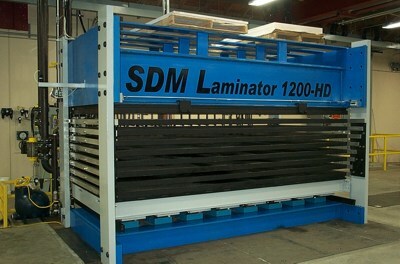 The SDM Laminator Press with MAX-RAMP features allows fast, uniform temperature changes within the platens. 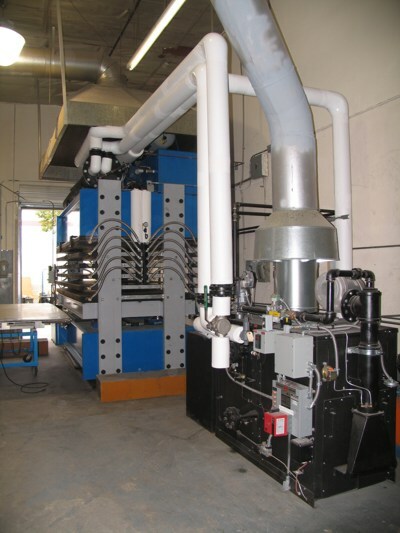 The platens are temperature tuned with proprietary adjustable diverters for the most uniform temperature obtainable. 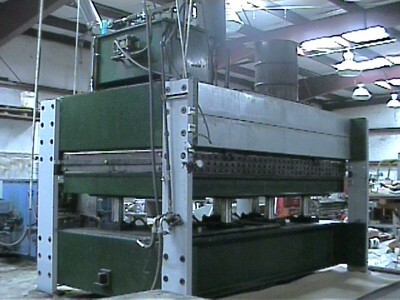 Shown is a 2 opening, 66" x 148" press with capabilities of 100 PSI over the total platen area. 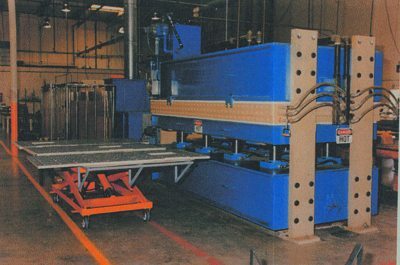 The presses are typically used in the manufacture of flat structures and can encompass a variety of custom processing parameters. 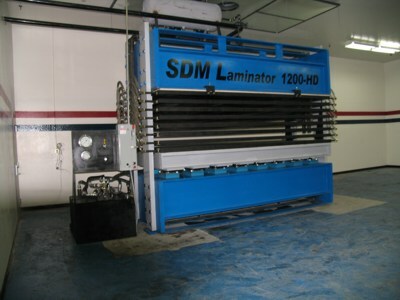 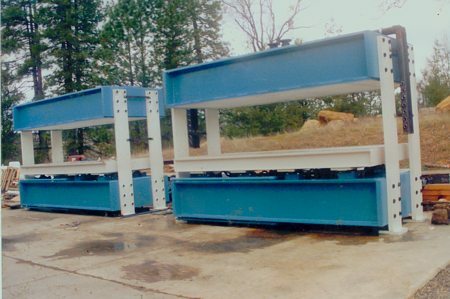 SDM TECHNOLOGY specializes in presses for the Composite Industry, however our technology is applicable to a variety of applications and industries.